Cellaring wines properly entails a constant and stable environment, wherein the range of temperature is between 50 and 59 degrees Fahrenheit, and the humidity level is within 50 to 60 percent. Custom wine cellar refrigeration systems are engineered to help achieve and maintain the best possible environment for aging and storing wines. 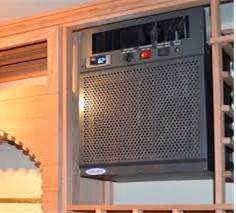 Among the industry leaders in wine cellar refrigeration and wine cellar cooling installation in Los Angeles is CellarPro. 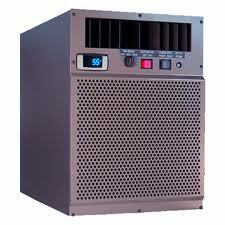 They provide well-engineered, efficient, and reliable climate control systems, that function well in a cold climate. CellarPro cooling systems offers a complete line of refrigeration units that can accommodate the cooling needs and requirements of refrigerated wine cellars, including self-contained units, ducted self-contained units, ductless or ducted split systems, and ductless or ducted air handler systems. All CellarPro cooling products are equipped with unique features that promote ease of monitoring of the climate conditions of refrigerated wine cellars in Los Angeles. Built-in thermostats and digital displays provide easy viewing of the wine storage temperature. Additionally, their cooling units feature control panels that allow users to increase or decrease the humidity levels inside their refrigerated wine cellars. 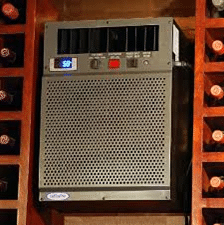 CellarPro custom wine cellar refrigeration systems include audio and visual alarms that alert users of exceeding temperature levels, unit maintenance, and component and system failure. Refrigeration systems from CellarPro feature a defrost cycle that allows the compressor to automatically shut down, in order to thaw the evaporator coil and prevent it from freezing. CellarPro cooling systems are designed to provide maximum cooling capacity for refrigerated wine cellars in both residential and commercial sectors, from 200 cubic feet up to 1,500 cubic feet. 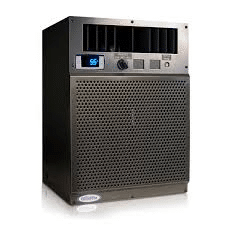 CellarPro have three different models of self-contained climate control systems: the CellarPro 1800 Series, the CellarPro 3200 Series, and the CellarPro 4200 Series. exhausts warm air must be twice the size of the wine cellar, and well ventilated in order to contain the heat load generated by the refrigeration equipment. The CellarPro 1800 Series is a self-contained through the wall unit, ideal for wine cabinets and small refrigerated wine cellars up to 400 cubic feet. This unit measures 18″ W x 16.5″ D x 10.5″ H and functions efficiently in environments in which the temperature is between 40 to 95 degrees Fahrenheit. The 1800 Series is available in top-vent and rear-vent models, for versatility in wine cellar cooling installation options. The CellarPro 3200 Series is built for refrigerated wine cellars Los Angeles that range in size from 400 to 800 cubic feet. The 3200 Series measures 14.25″ W x 25.1″ D x 19.7″ H and can easily be installed between wall studs. The unit is designed to operate in locations wherein temperature range is between -20 to 115 degrees Fahrenheit. A compressor heater or low ambient kit is required when exposing the condenser side of the unit to environments below 40 °F and 20 °F, respectively. 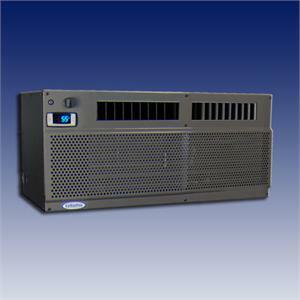 The CellarPro 4200 Series has a cooling capacity of up to 1500 cubic feet. The unit is designed to handle weather conditions ranging from -20 to 115 degrees Fahrenheit. A low ambient kit option is recommended for environments that drop below freezing. The 4200 Series measures 14.25″ W x 25.1″ D x 19.7″ H and operates on a 20-amp circuit breaker. 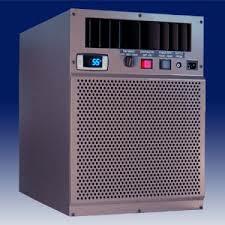 CellarPro custom wine cellar refrigeration units also provide split cooling systems. Split systems are specially designed to eliminate fan noise and heat exhaust from refrigerated wine cellars. In this refrigeration unit, the evaporator unit is separated from the condensing unit, thus promoting flexibility in wine cellar cooling installation, as well as providing reliable and quiet operation. The evaporator unit of CellarPro split systems is mounted inside the wine cellar, while the condensing part is remotely located up to 75 feet away. 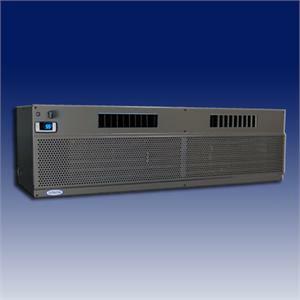 available: CellarPro 4000 Series, CellarPro 6000S Series, and CellarPro 8000S Series. The CellarPro 4000 Series is ideal for custom wine cellars up to 1000 cubic feet in size. Measuring 16.6″ W x 12.6″ D x 22.1″ H, the cooling unit takes up little wall space, and thereby leaves more room for bottle storage. The 4000 Series is engineered to perform efficiently in environments wherein temperature range is between 40 to 110 degrees Fahrenheit. Wine cellar cooling installation of the condensing unit requires 12 inches of clear space, and 600-700 CFM ventilation fan when placed in an enclosed space. The CellarPro 6000S Series is designed for wine rooms from 800 to 1,500 cubic feet in size. 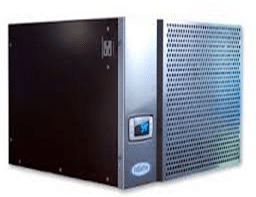 The cooling unit measures 30.4″ W x 14.4″ D x 13.2″ H at ½ ton cooling power. It has a rectangular frame that fills up little wall space, and thus provides room for maximum bottle storage. The evaporator unit features a variable-speed centrifugal fan that provides optimum performance and ultra-quiet operation. The 6000S Series can withstand temperatures ranging from 40 to 110 degrees Fahrenheit. The CellarPro 8000S Series is custom designed for large wine cellars up to 2000 cubic feet. The unit measures 46.4″ W x 14.4″ D x 13.2″ H at ¾ ton nominal cooling. The 8000S Series can handle weather conditions ranging from 40 to 110 degrees Fahrenheit. Wine cellar cooling installation for CellarPro split systems offers two wiring options: single power source and dual power source. A single power source involves the condensing unit being wired to and controlled by the evaporator unit, while a dual power source utilizes a Solenoid valve, to control the condensing unit. A solenoid valve is an electromechanically operated valve used for controlling the flow of gas or liquid. High performance CellarPro cooling systems offer internal and external installation options for their refrigeration equipment. In order for refrigeration systems to function efficiently, it is important to design and construct custom wine cellars with proper insulation and a moisture barrier. Contact M&M Cellar Systems for custom wine cellar refrigeration services.